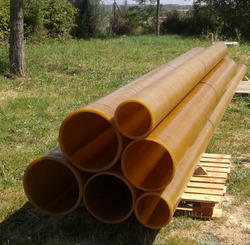 We are a leading Manufacturer of industrial frp pipe, pp pipe and frp pipe from Ankleshwar, India. Assisted by our team of hardworking professionals, we are affianced in offering an extensive gamut of Industrial FRP Pipe. 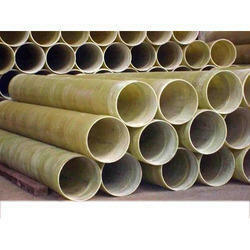 We are a chief manufacturer of the FRP products, emerging in the allied domain for providing supreme quality range of the FRP pipes those are distinguished in the industries for its high corrosion resistance combined with lightweight aspects enables end users to promptly and smoothly install FRP pipes, be it underground, surface or underwater and hence is being a top choice in most areas of application. Our greater care towards quality quotient all through the designing and manufacturing has enabled us to achieve a range of the FRP pipes that boasts several tempting features like high mechanical strength, high impact resistance, corrosion resistance, temperature resistance those increase life of pipes under any weather conditions. 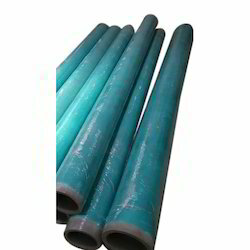 These FRP pipes are largely used in Oil & Gas, Chemical Industries, Water/ Waste Water and Irrigation for its outstanding performance and low-cost aspects. 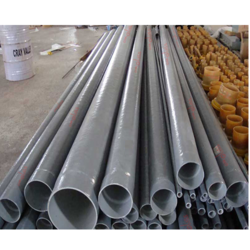 These FRP pipes we offer in the standard specification and also offer customization as per the specification detailed by our client at most likeable rates.